Flappy Bird creator Dong Nguyen comes back with Swing Copters. 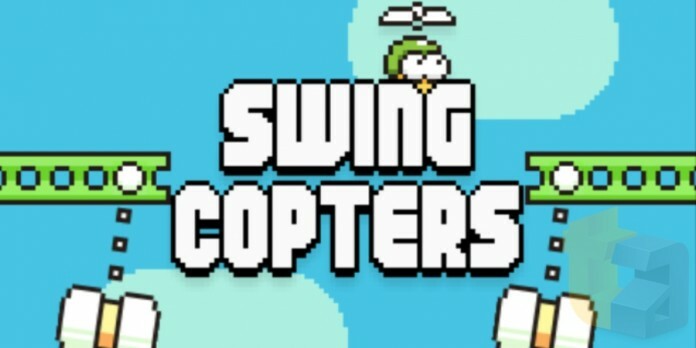 After the success of Flappy Bird, the creator of the hit game is coming out with another Flappy Bird style game – Swing Copters. The new game is due to be out on iOS and Android this week. While Flappy Bird moved horizontally, Swing Copters will be moving vertically. Flappy Bird was launched in May 2013, but it was not very popular. However, in early 2014 its popularity rose exponentially, eventually making it the most downloaded free app in the App Store. The reason for its success is still unknown, but most people attribute it to its difficult yet addictive nature. It had a simple bird that flew through ‘Mario-style’ pipes, but it was not that easy with most people not even being able to score 10. Social media was abuzz with chatter about the game/high scores being posted. Most of the people expressed annoyance about how addictive the game was and how they could not stop playing it. However, all that is in the past and now Dong Nguyen is back with Swing Copters and with the powerful backing of Flappy Bird, this game is most likely to be a big hit.